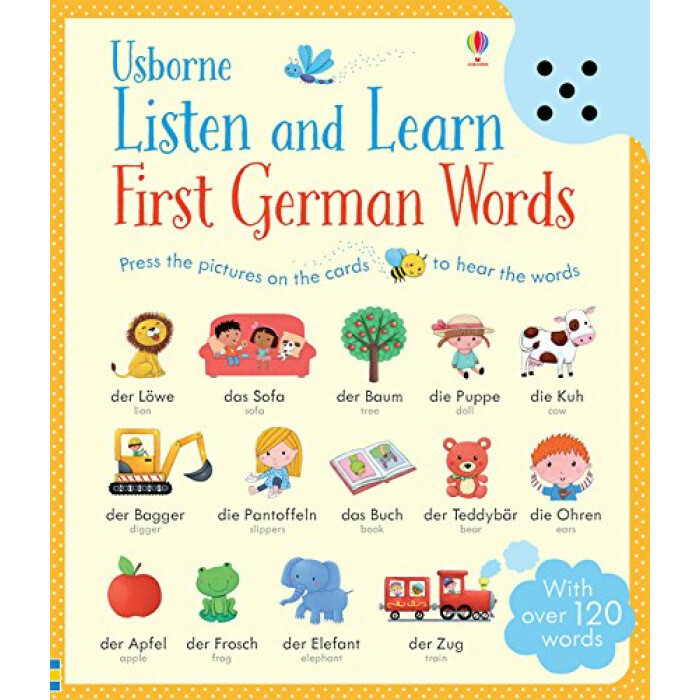 This looks like a book but it's actually a clever sound panel that allows children to hear 128 German words spoken by a native speaker. Simply take one of the 4 cards (each features 16 words and pictures on each side) out of the envelope and insert into the slot as instructed. Press 'go' and then press a picture to hear how the word is pronounced.